Thank you so much for visiting our website, please feel free to browse and learn about our efforts to create positive change in the community. We educate, mobilize and empower community members and police to proactively engage in problem solving strategies that build mutual trust & collaborations to ensure public safety. 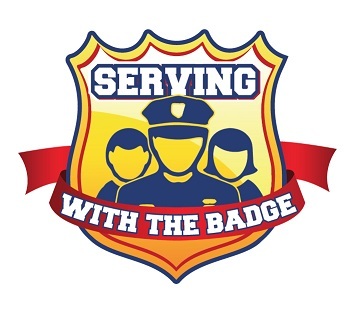 Serving with the Badge is a non-profit organization pursuant to Section 501(c)(3) of the United States Internal Revenue Code. To provide an open source model for communities nationwide to build police and community trust through problem solving collaborations that address public safety and crime reduction. Contribution Disclaimer: Serving with the Badge is a non-profit organization pursuant to Section 501(c)(3) of the United States Internal Revenue Code. Your donation to SWTB may qualify for an income tax deduction in accordance with Federal and/or State income tax laws. Please consult with your tax advisor to determine whether your donation is tax deductible in whole or in part. Nothing in this communication is intended to constitute legal or tax advice. I work for hazelwood pd and would love to include our community. Tell me how to help. Thank you. I have been saying for a long time that officers are spread too thin and do not know the people of their community. I think that is a source of much tension and this is a good opportunity to improve that situation. We would love to talk more please call me at 314-517-3822 my name is Christian Johnson.